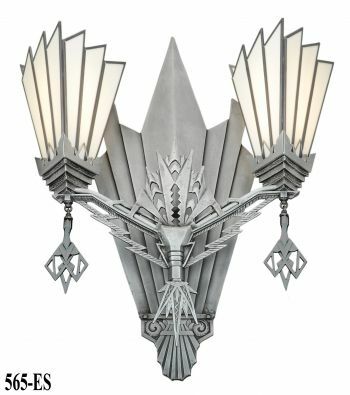 We have built this recreated sconce with two design schemes in mind....i.e....Angular Art Deco....and Streamline Art Deco. 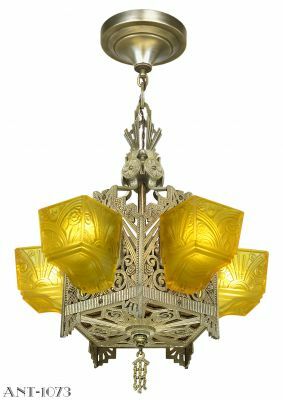 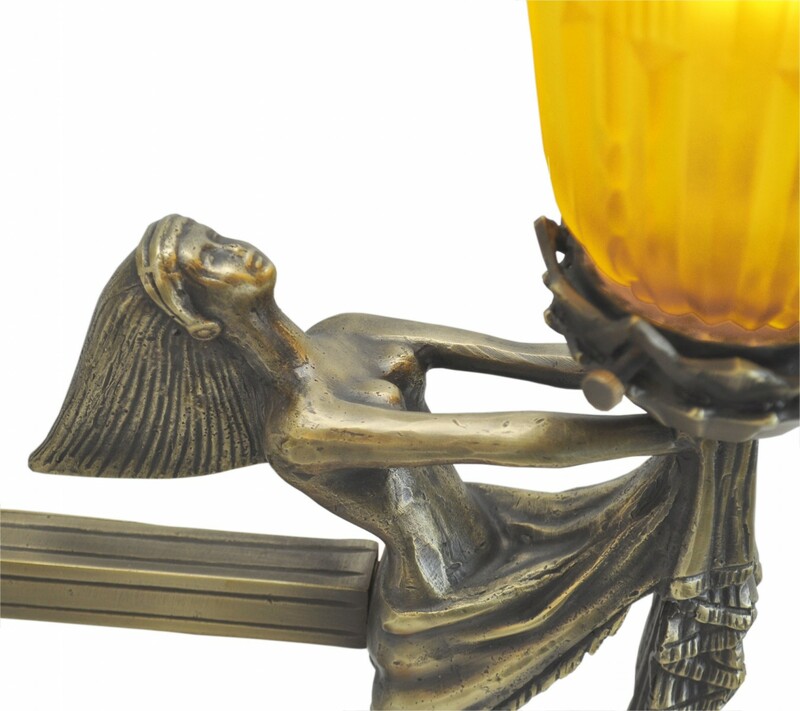 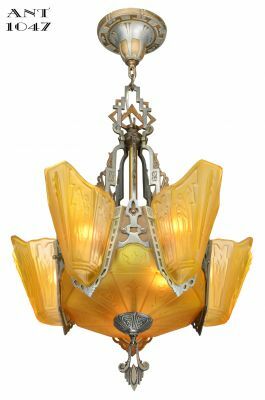 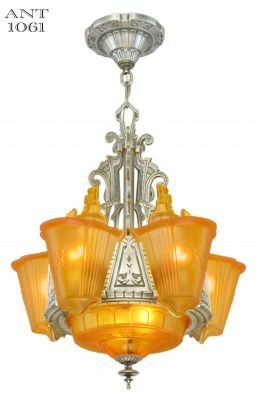 The angular Art Deco is showing our 2 1/4” shades in both Amber (0319AMG) and Frosted finish (0319G). 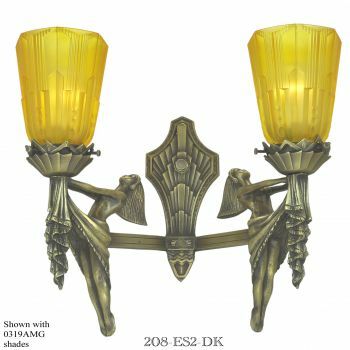 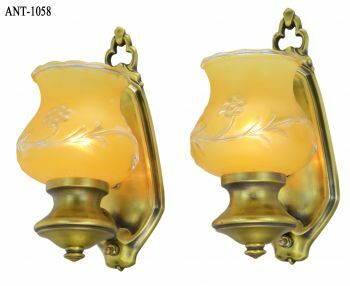 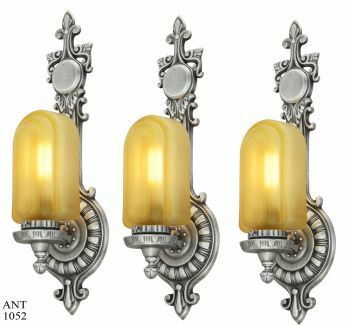 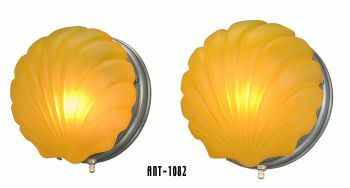 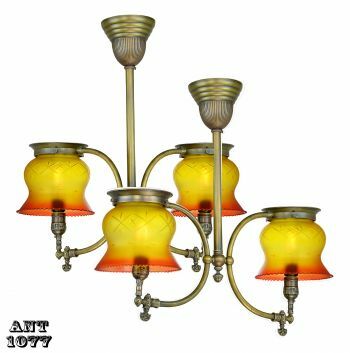 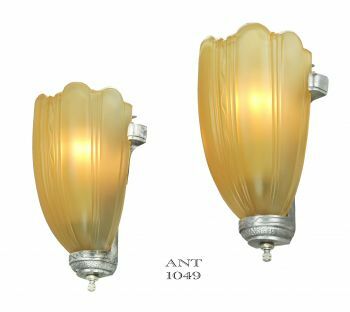 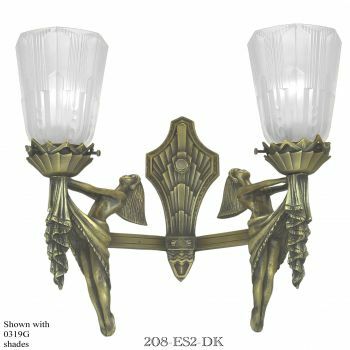 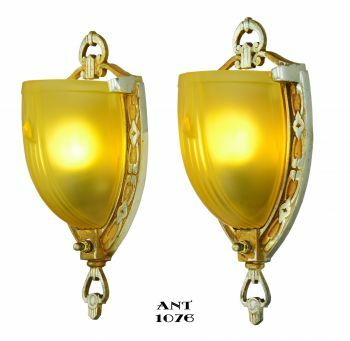 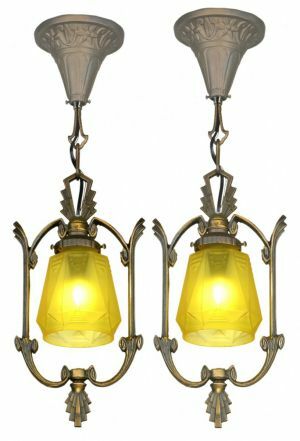 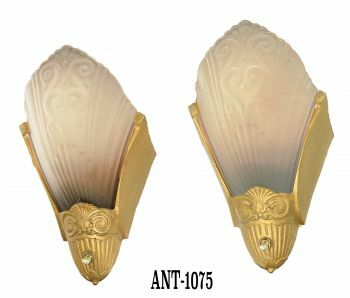 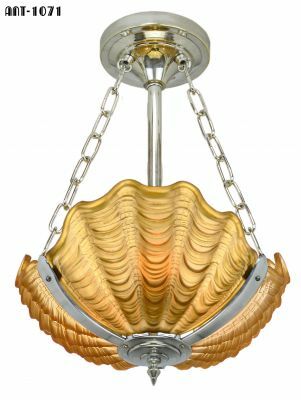 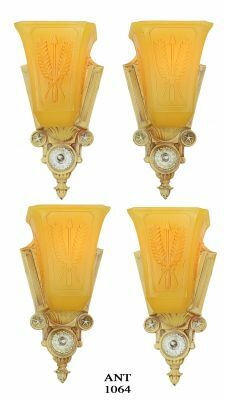 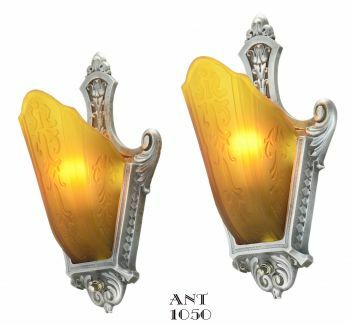 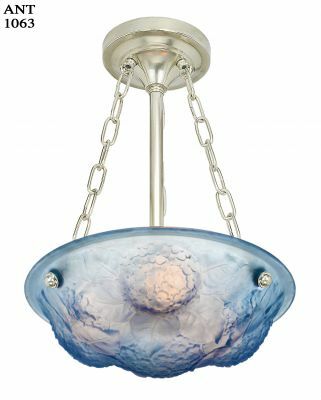 Since there is a choice of shades...or perhaps you might have your own antique shade, we are offering these sconces without shades so that decision is easier to make. 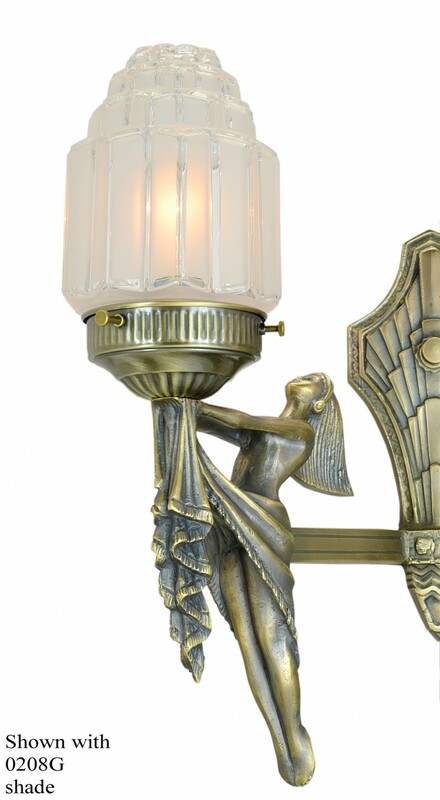 The Streamline Art Deco version uses a 3 1/4” fitter shade and is shown with our 0208G shade. 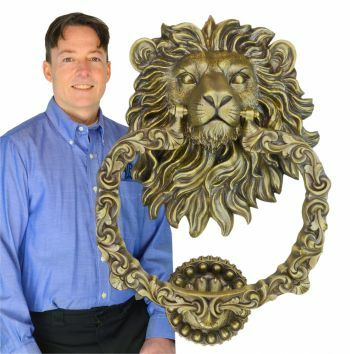 Measurements: Height is about 15” tall. 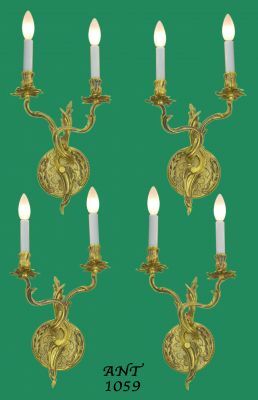 Width is about 16”. 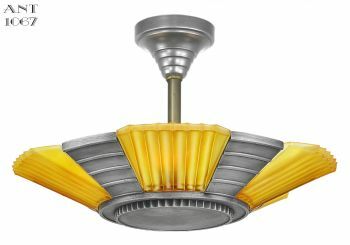 Projection from the wall is about 9”. 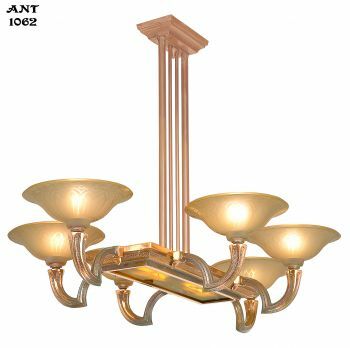 We say “about” because the final measurements is going to depend on which shade you decide to install. 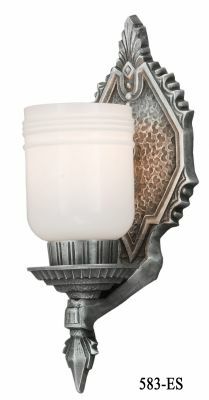 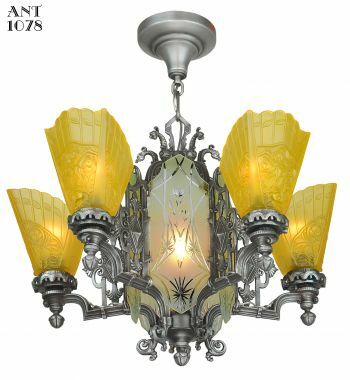 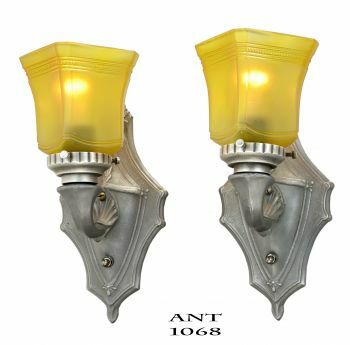 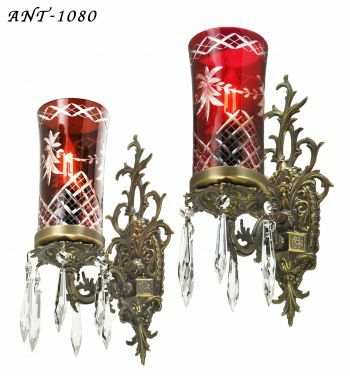 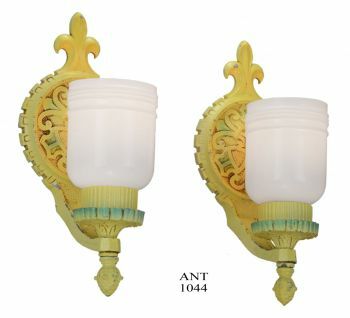 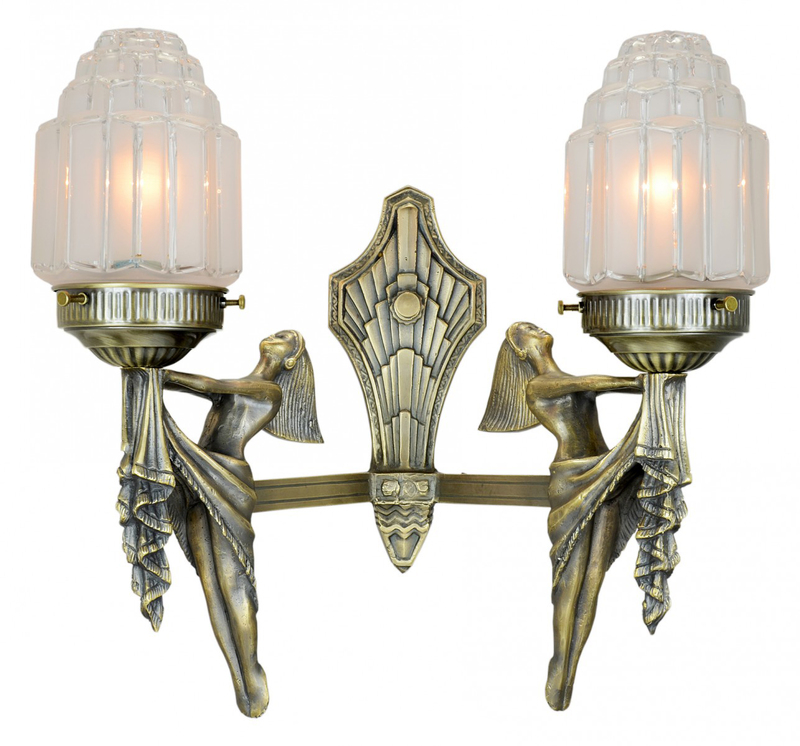 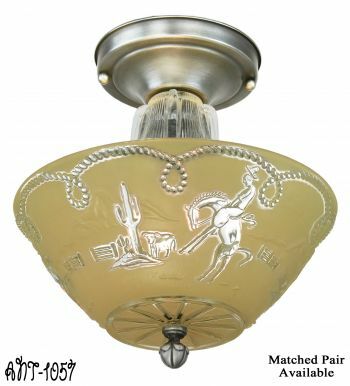 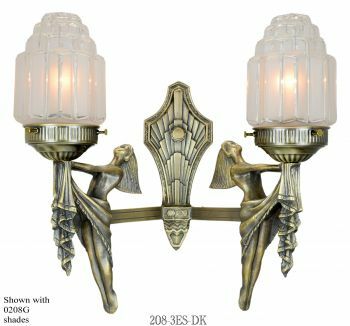 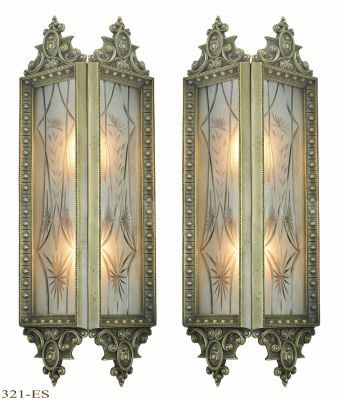 Both sconces have an antiqued, high/low finish for detailed accents.